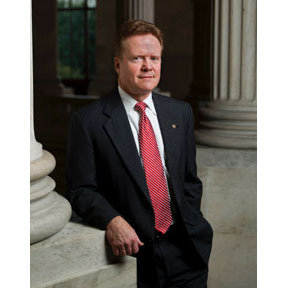 Late Thursday, the U.S. Senate unanimously approved an amendment offered by Sen. Jim Webb (D-Va.) to reaffirm the United States’ commitment to Japan under Article V of the Treaty of Mutual Cooperation and Security, and to firmly counter any attempts to challenge Japan’s administration of the Senkaku Islands. Sens. James Inhofe (R-Okla.), Joe Lieberman (I-Conn.), and John McCain (R-Ariz.) cosponsored the amendment to the National Defense Authorization Act for Fiscal Year 2013. The amendment reiterated the U.S. national interest in freedom of navigation, peace and stability, respect for international law, and unimpeded lawful commerce. It also noted U.S. opposition to any efforts to coerce, threaten to use force, or use force to resolve territorial issues. The amendment concludes by reaffirming the commitment of the United States to the defense of territories under the administration of Japan, as stated in Article V of the Treaty. Webb has expressed concerns over maritime territorial disputes in this region for more than 16 years. His first hearing upon assuming chairmanship of the Senate Foreign Relations East Asian and Pacific Affairs Subcommittee was on maritime territorial disputes in Asia in July 2009. He revisited this issue in the subcommittee in September 2012. Webb has worked and traveled throughout East Asia and Southeast Asia for more than four decades—as a Marine Corps Officer, a defense planner, a journalist, a novelist, a senior official in the Department of Defense, Secretary of the Navy, and as a business consultant.